NECTAR & PULSE in the city of cities. Carina & Tanja founded Nectar & Pulse in 2010 out of a deep passion for inspiring people, a fascination for discovering hidden, authentic places and a desire to experience the world in all its different aspects. “One belongs to New York instantly, one belongs to it as much in five minutes as in five years.” – We couldn’t agree more with this quote by Tom Wolfe as it is exactly what we’ve felt every time we’ve visited this legend of a city. We start our perfect 24 hours by waking up in one of the coolest hotels in New York City, The Standard High Line (find out more about it here). The first thing you see upon waking up is the city’s unique skyline through the huge floor-to-ceiling glass facade. After our busy film shoot together with Jessica Walsh for elsewhere by Kuoni (see the full travel story and film here) we are looking forward to some “relaxing” and joyful days. We begin with coffee, newspaper and some obligatory bed jumping (which is how we professionally determine the quality of any hotel’s sleeping arrangements). The hotel is perfectly located in New York City’s Meatpacking District, rising above a former elevated train line that has become downtown’s favourite public park The High Line. 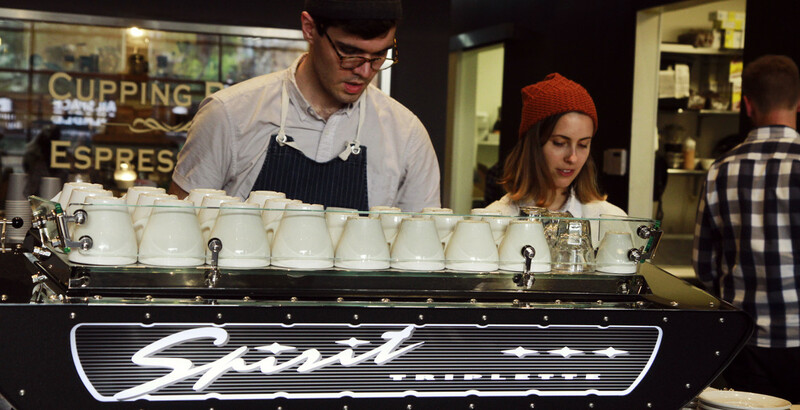 Anyone who knows us at all knows that we are passionate coffee drinkers so Ninth Street Espresso at Chelsea Market is just the thing to make our hearts beat higher and kick off the day. We stroll along the inspiring streets with a cinnamon raisin/cream cheese bagel (Hudson Bagels or Murray’s Bagels) in the left hand and a coffee in the right . We head up North to do some Madison Avenue (window-)shopping at favourite boutiques like Prada, Chloé, Jimmy Choo, Barneys and Oliver Peoples. We also have a peak inside Saks and Bergdorf Goodman. 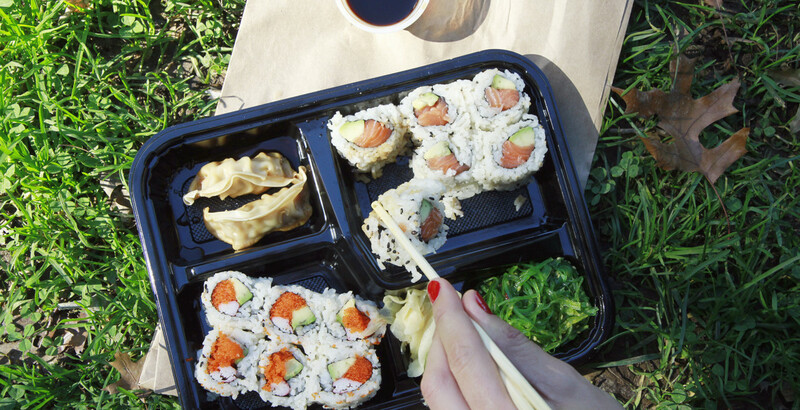 At the Plaza Food Hall we pick up some sushi and lobster rolls to take with us and enjoy in the sunshine in Central Park. Literally tasting the New York vibe! Time to continue our shopping tour. 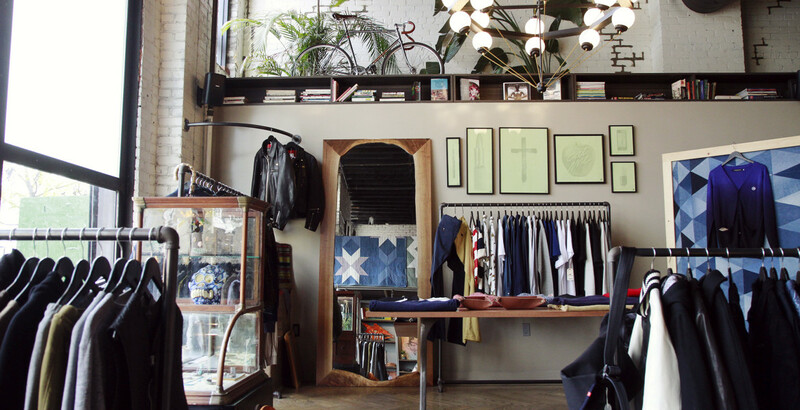 Some of our favourites in Soho include: Philipp Lim, What Goes Around Comes Around, Acne, Saturdays Surf NYC, Rag & Bone, Opening Ceremony, lulu lemon, Vosges Chocolate, Chanel, Gourmet Garage, Saint Laurent. For a break and to rest your busy feet we recommend Jacks Wife Freda, Café Select, Blue Ribbon Bakery, Taim (for falafel and fresh fruit juices), Balthazar, Blue Ribbon Sushi and Miss Lily’s. 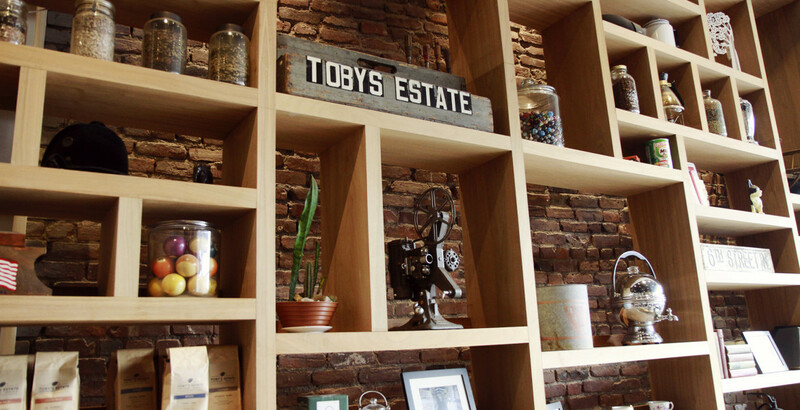 After ticking off our to-dos in Soho we head over to Williamsburg to check out our favourites: Kinfolk Store, Toby’s Estate Coffee, Wythe Hotel. 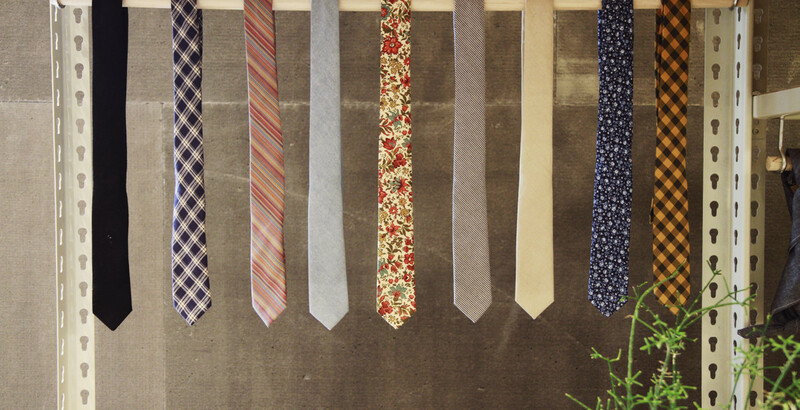 Beyond these, Mast Brothers chocolate store is an absolute must. For a break (eggs, pancakes and some Bloody Marys) you should check out Five Leaves. 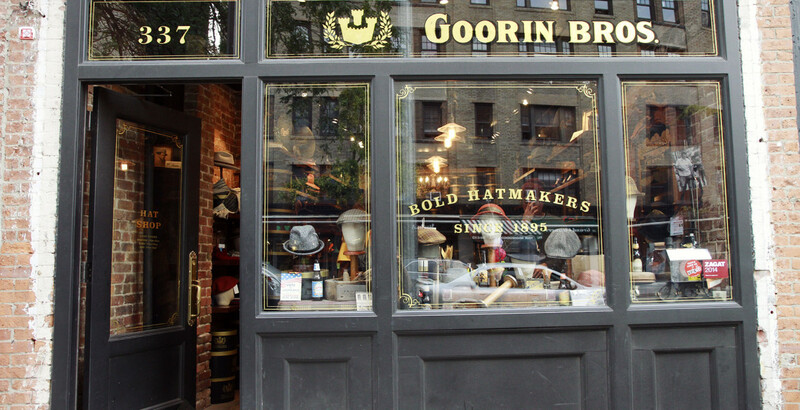 On the way back to the hotel we drop by Goorin Bros. to buy a hat. Time to change clothes for a night out in the city of cities. 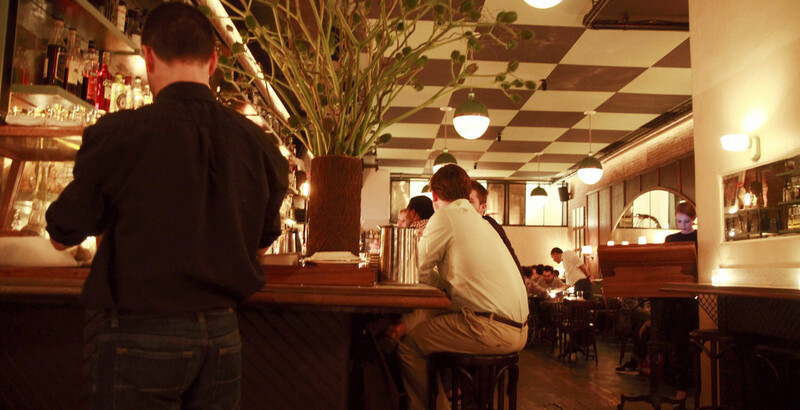 We start with a delicious dinner at Acme or The Fat Radish or The Spotted Pig, have drinks at Boom Boom Room and dance the night away at Output, Le Bain, Cielo or Verboten. The Standard Hotels are always one-of-a-kind and so is The Standard High Line. Has an amazing view over the city and the Hudson River. The former train lines were rebuilt into a park area; it’s a perfect place to go for a walk or just sit down and relax. 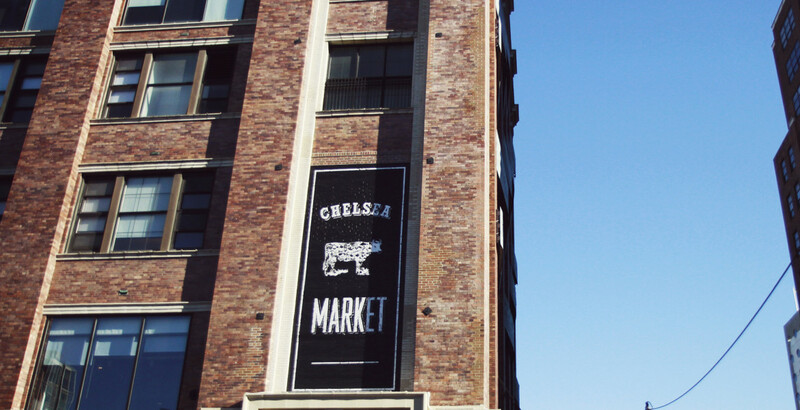 The Chelsea Market hall is full of amazing places to eat and shop. This is where we get our morning dose of caffeine after leaving the hotel. It is a coffee shop inside the Chelsea Market hall. One of the not-too-crowded Prada stores with pleasant staff. We love the feminine and elegant dresses and bags by Chloé. Every woman needs at least one pair of Jimmy Choos. Barneys has all the brands we fashionistas love and need. Get some cool specs here. 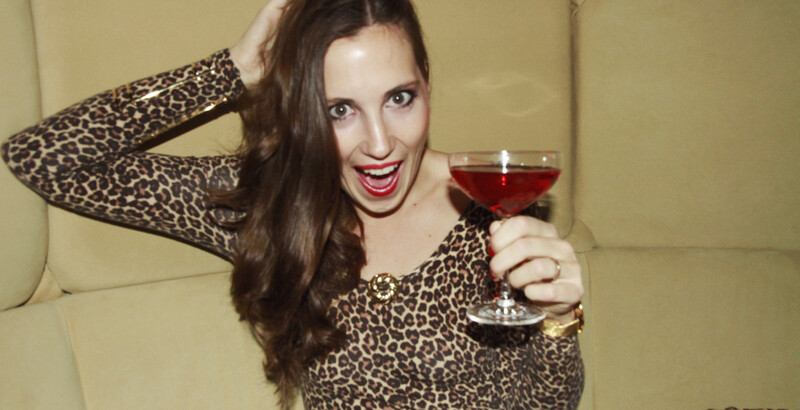 By wearing Saks items and posting it with the hashtag #saksstyle you appear on their website. 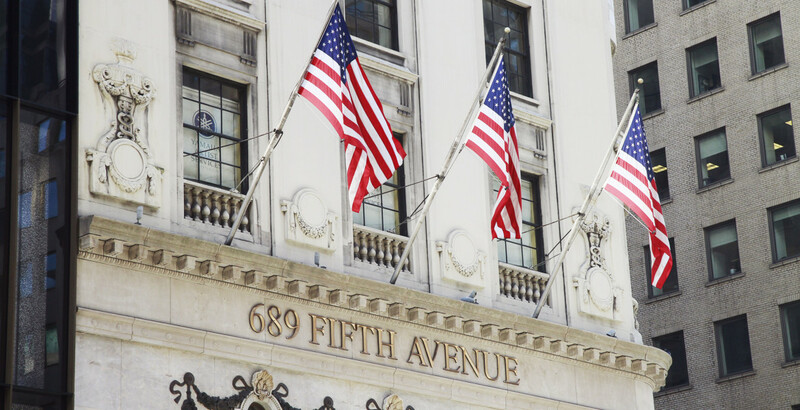 The luxurious department store is every 5th Avenue princess’s second home. This hall is a beautiful experience to just stroll through while grazing some delicatessen. 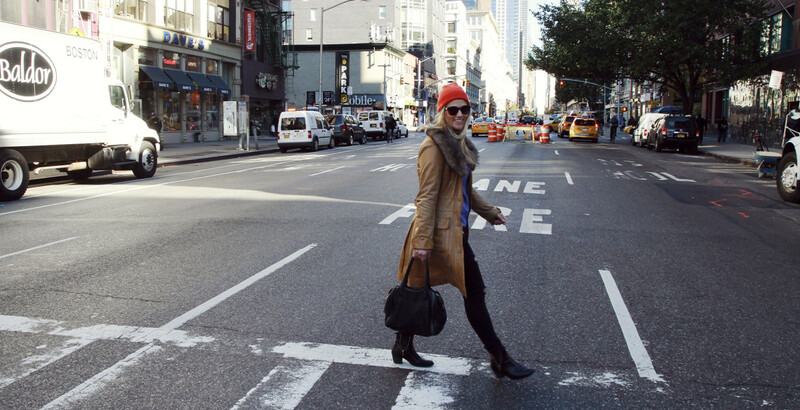 Get your head to toe New York outfit here! Very nicely done interior design at the Acne Studios. Heads up, guys! This is definitely where you should stop by. The raddest streetwear out there! Those clothes will let you look and feel like New York all over. We love it! Sports fanatics, this is to you what Luis Vuitton is to Tanja. This chocolate store will probably give you diabetes - because once you’ve started you can not stop trying and buying! Located in one of the most coveted and expensive addresses of the city, you should help Chanel pay the rent for this store; be a good soul and enhance your Chanel collection! They used to deliver their goods to restaurants but now the store is open to the public and allows everyone to be a master chef. Timeless and simply beautiful pieces! 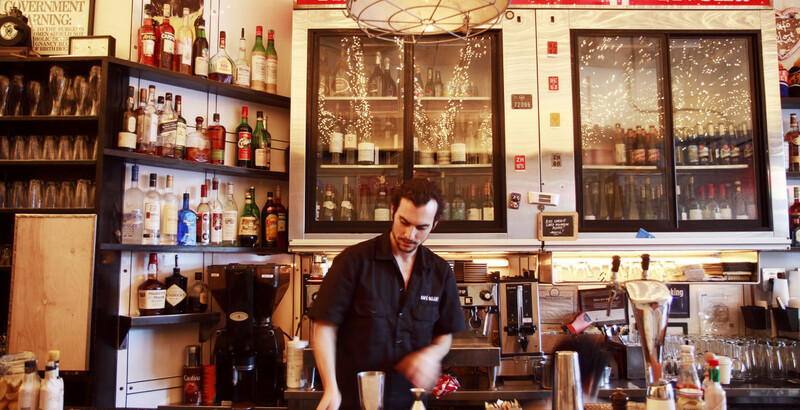 This cute bistro serves American and Mediterranean cuisine in the most delightful manner. 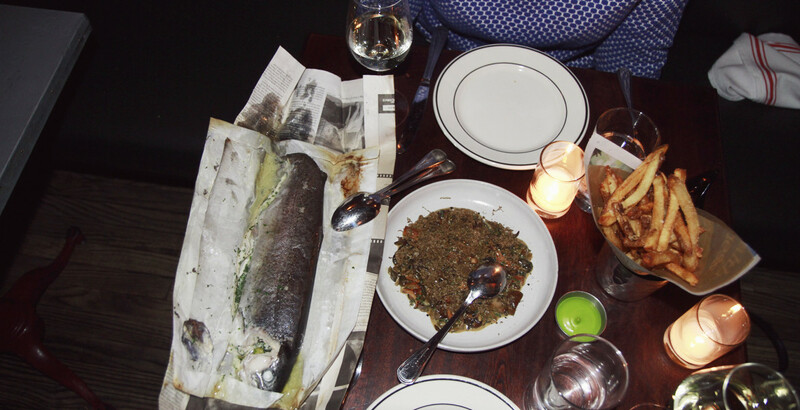 Hearty dishes, directly out of an old wood-fired brick oven. Taim for some mouthwatering falafel and smoothies. Another masterstroke of the successful owner of several New York restaurants, Keith McNally. Delicious sushi in a pleasant atmosphere. A colorful Caribbean restaurant with lots of island vibe and soul. Extremely cool and casual street style fashion. 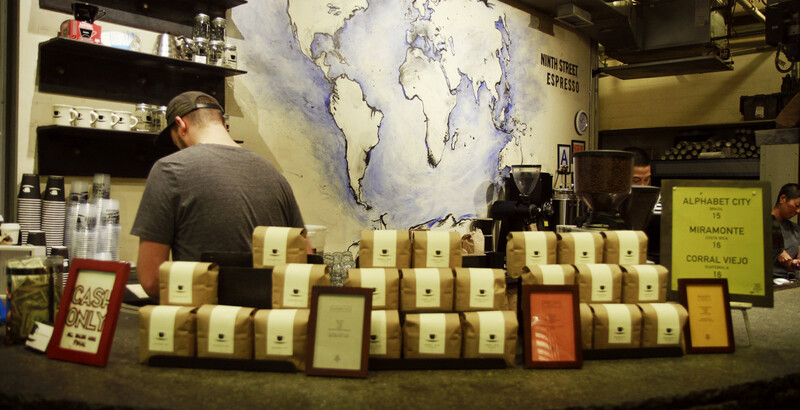 These guys are so obsessed with perfect coffee that you can even take brewing lessons here. 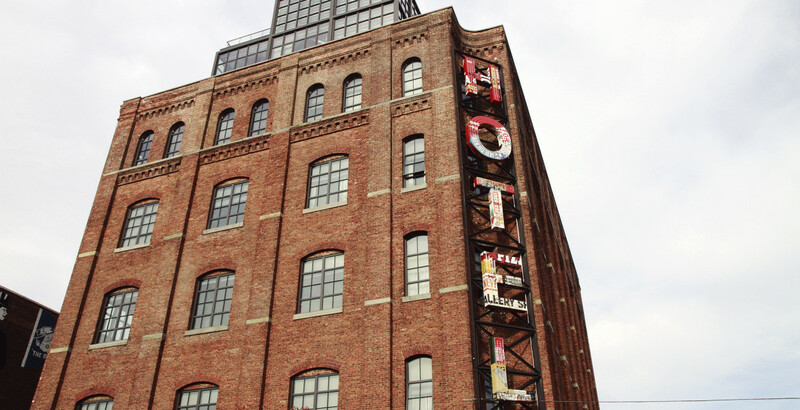 The Wythe Hotel is a one of a kind hotel in Williamsburg which used to be a factory and still radiates industrial charm. Mast chocolate is not only outstanding in taste but also in their wrapping designs. 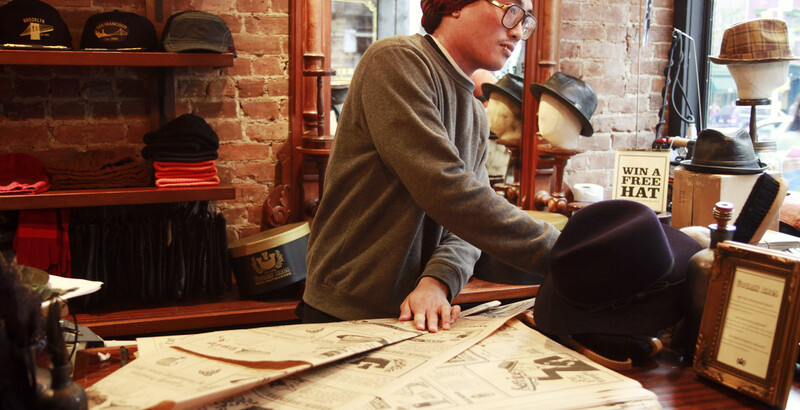 We love hats - we dig this shop! This beautiful restaurant serves the most delicious dishes, made with love and passion. Tasty burgers and soul food. This is the bar all the way at the top of The Standard hotel. 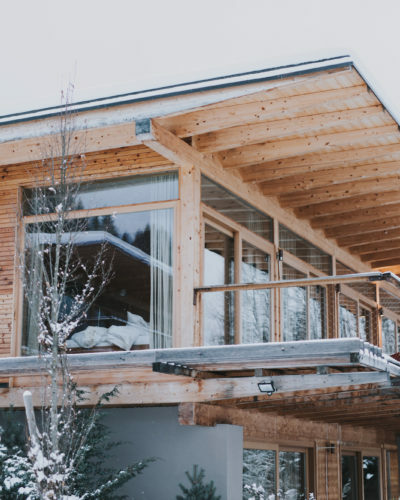 As you can imagine, it has quite the view. 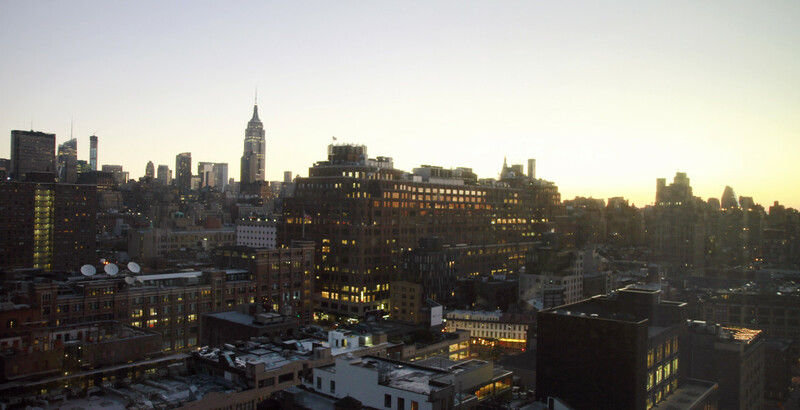 Le Bain is the rooftop club of The Standard Hotel and very popular with the locals. This club in Greenwich plays great techno and house music. Verboten is mainly an underground dance music venue but the integrated Cabaret Bar also serves little snacks. Your night out here will be a hell of a ride! This is where bagel dreams come true. Great variety of delicious bagels. Output has an amazing rooftop terrace which is the perfect to place to be on warm summer nights in Brooklyn. Great place for brunch with eggs, pancakes and some Bloody Marys. Yummy. Have a bagel from Murray’s Bagels. Waking up to this view in The Standard Hotel. Starting the day with a walk to Chelsea Market. Yum. Ninth Street Espresso make great coffee. Sushi from Plaza Food Hall. 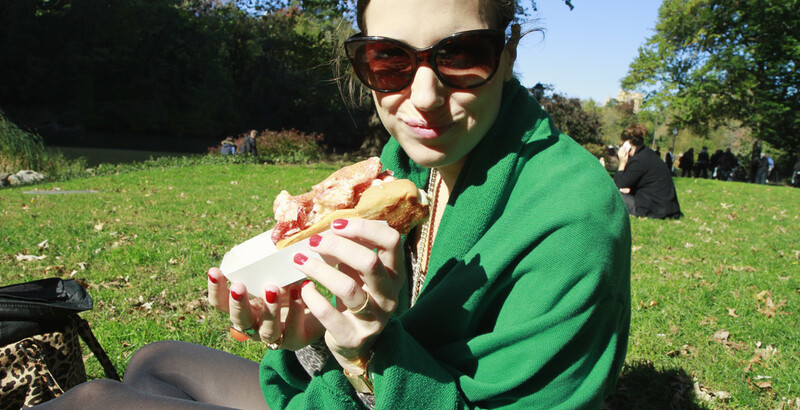 Grab some lobster rolls at Plaza Food Hall and enjoy them at Central Park. 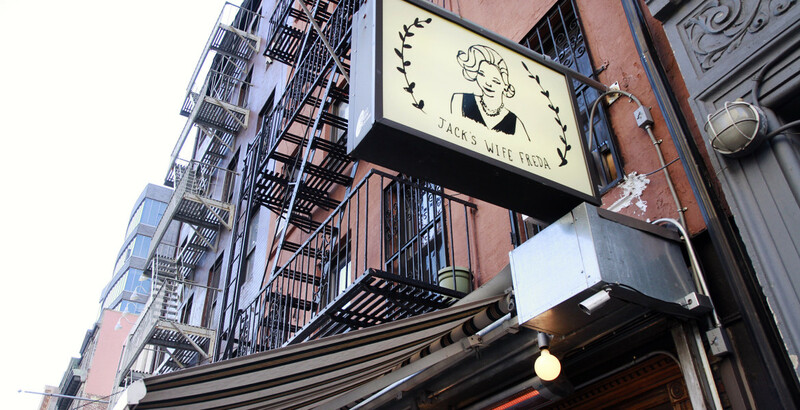 Taking a break at Jack’s Wife Freda in Soho. 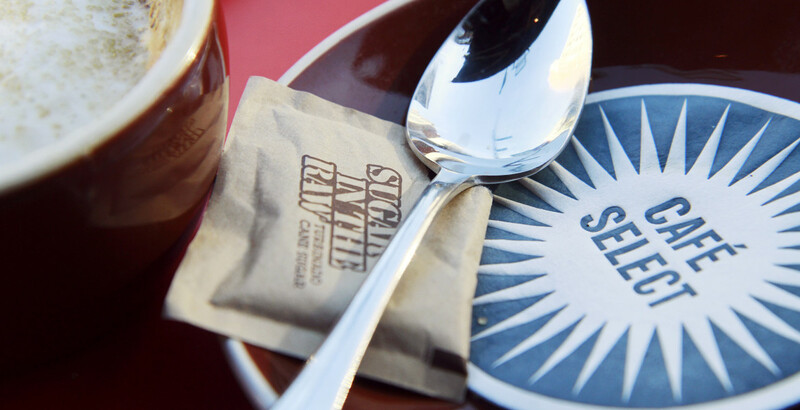 Enjoying the vibe at Café Select in Soho. 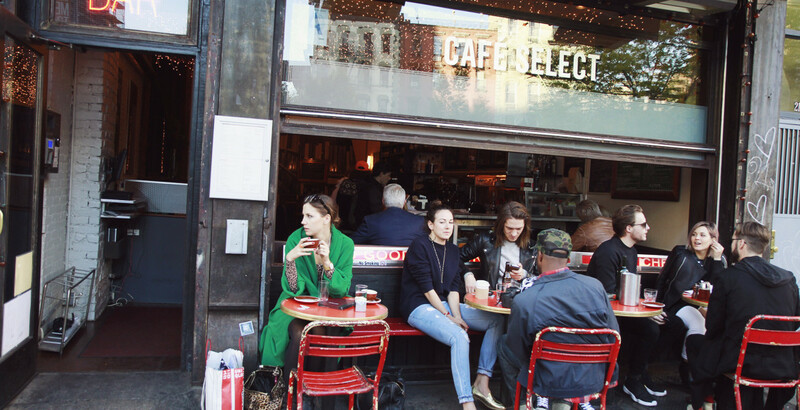 It’s warm enough to sit outside at Café Select. Love it! 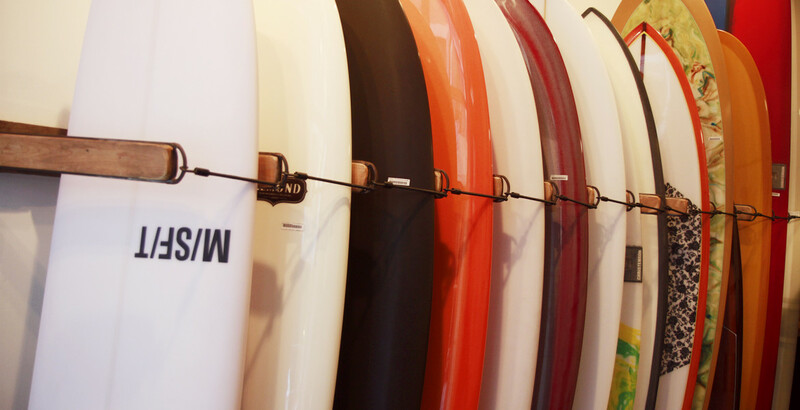 Dropping by at Saturday’s Surf. Picking up some cupcakes from Magnolia Bakery. 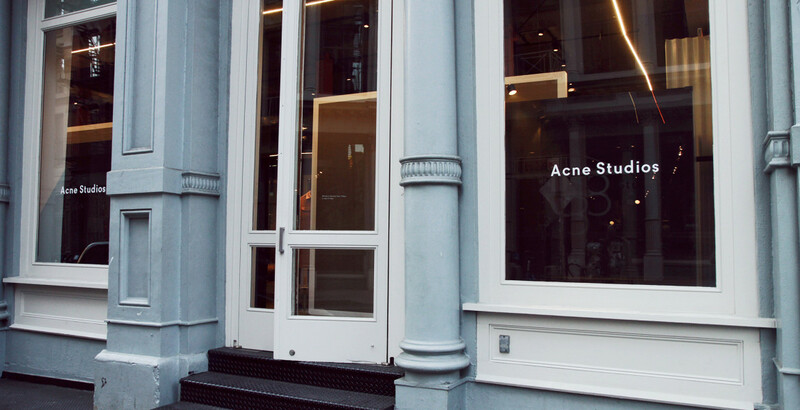 Can’t pass an Acne Store without going in. 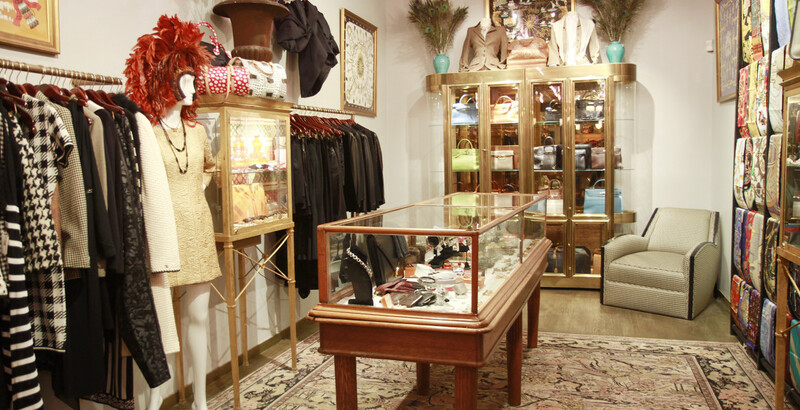 What goes around comes around – the claim in this great vintage store. Looking for some goodies for the men back home. Buying a hat at Goorin Bros.
Can’t wait to unpack the hat from Goorin Bros.
Having a coffee at Toby’s is never a bad idea. Let’s have some drinks at Wythe Hotel's rooftop bar. 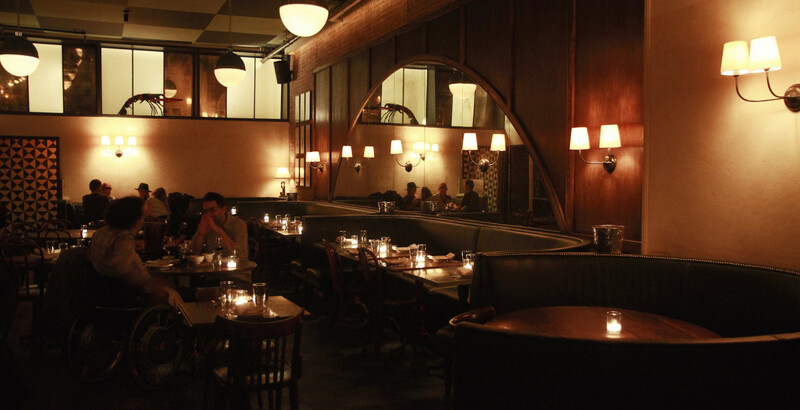 Cosy interior at Acme restaurant. 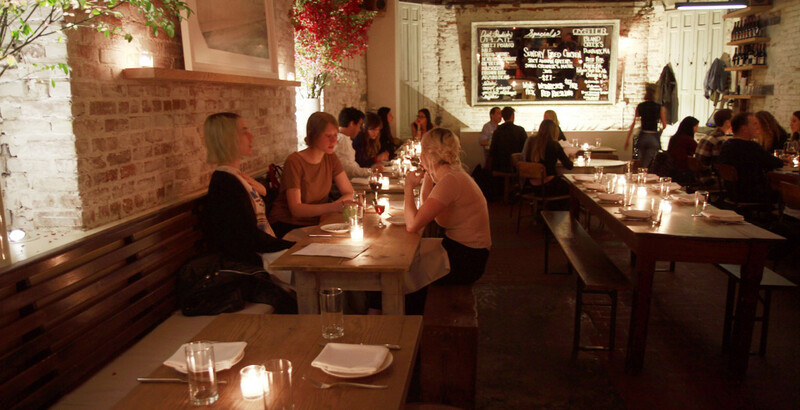 Dinnertime at the "The Fat Radish" – lucky us! The vibe of New York City captivated us from the first second, when we came here many years ago. We both spent some months here, working and playing. We got to know it quite well – both the Upper East Side of it, the Hamptons as well as the galleries in Chelsea and the side streets of Williamsburg and Brooklyn. It really gives you a feeling as if anything is possible. Playing big. 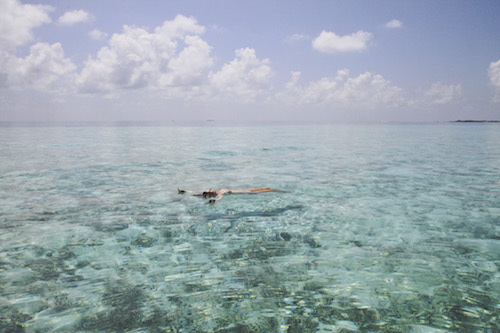 Dreaming wild. Old school Hip hop, Frank Sinatra, Jazz. Move there for a couple of months to soak up everything the city has to offer. Waking up in New York City, with a big smile of course. Exploring the streets of Williamsburg. We met in 2004, when we were both studying Design and Product Management at the University of Applied Sciences in Salzburg. From the first week on we became Soulmates, worked on many projects and travelled together. 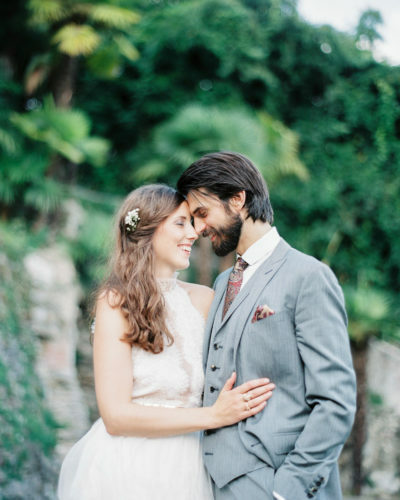 We’ve lived in Kuchl (very small town outside Salzburg  ), New York, London and Stockholm together. After graduation we founded Nectar & Pulse in 2010. Our journey, both as friends and business partners, is a mutual growth process. We both share an infectious enthusiasm for Local Soulmates and travelling which makes our business our daily playground. ‘It doesn’t interest us what you do for a living. 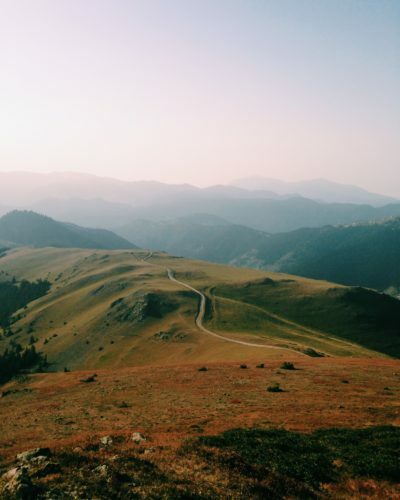 We want to know what you ache for—and if you dare to dream of meeting your heart’s longing. It doesn‘t interest us how old you are. We want to know if you will risk looking like a fool—for love—for your dreams—for the adventure of being alive’. The moment when we realise that we are living the life we always dreamed of. People who make the most of the now. Wise people. Curious people. People who are really good at what they do. Confident people. Genuine people. Loving people. Creative people. Everyday heroes and heartfelt pioneers. Breathtaking pictures, powerful words, timeless beauty, complex music, independent films, ecstatic dances, intense flavours, epic experiences. Freaks, Weirdos, Questioners, Bon Vivants, ‘de Blonde und de Braune’, Hippies with calculators, Nerds, Urban Nomads, Obsessed, Exuberant, Inspiring, Bohemians, Travellers, Nectar & Pulse. Love, Travelling, Soulmates, Curiosity, Aesthetics. Life is a journey. Taste the Nectar. Feel the Pulse. Thanks for visiting Nectar & Pulse!